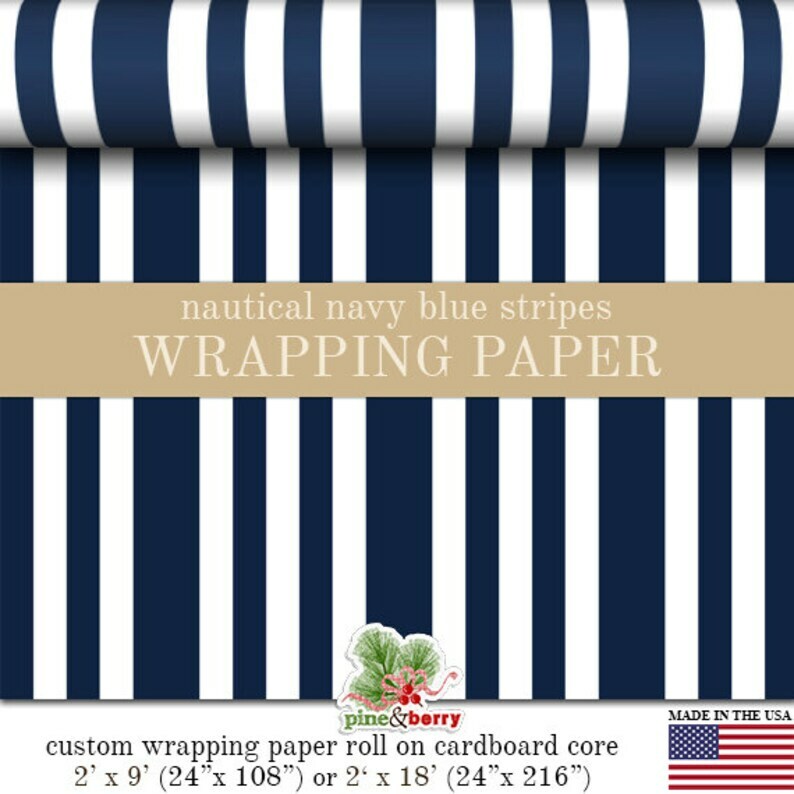 Nautical Navy Blue And White Stripes custom wrapping paper great for wrapping birthday gifts, wedding gifts, anniversary gifts and graduate gifts and more. May also be used as a paper table runner for parties and events. Stripe sizes: The smaller white and blue stripes are 1 inch wide and the larger blue stripes are 2 inches wide. Each wrapping paper order is custom printed upon purchase and due to the delicate nature of this product, all wrapping papers are final sale. Loved the quality and color of this paper!! Vintage Floral Wrapping Paper | Late 1800's Floral Gray, White Wrapping Paper In Two Sizes Great For Wedding And Anniversary Gifts. Woodland Wrapping Paper | Custom Woodland Gift Wrap Paper 9 foot or 18 foot Rolls Great For Any Occasion.